We are super psyched to be heading back to Boulder Brightion on December 8th after a year off last sesason. Brighton has always been a brilliant event with easy access on the train from London or driving. To quote double overall Blokfest champion Matt Cousins "Brighton was always my favourite round". We still have some senior session tickets available and you can get yours via the link below. 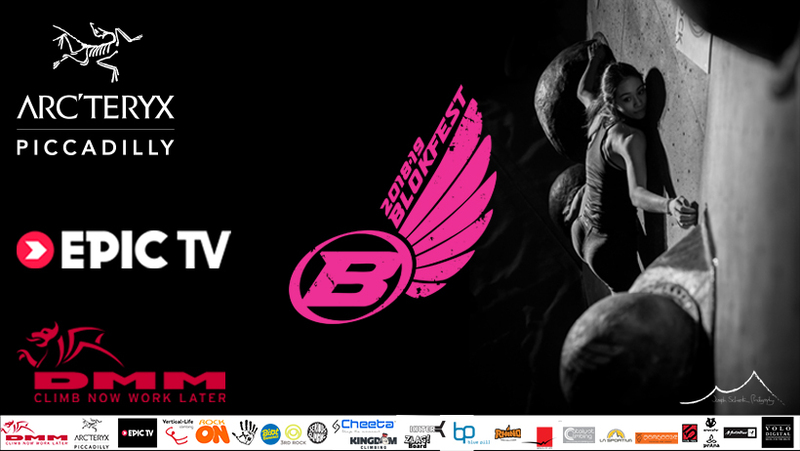 This year we will be returning to a brand new Comp wall surface built in 2018 and another set of brand new holds! Brighton also has arranged extra food suppliers along with their usual supply of excellent drinks and snacks. Its going to be awesome. Check out the highlights from Brighton 2016 here also.